If we already have developer orgs or sandboxes, why do we need scratch orgs ? Because of compliance of most of clients, we cannot move their code to developer org to perform some POC or package development, so developer org is out of questions anyway. Now, lets focus on Sandboxes. Use of sandboxes are mostly for end to end testing, integration testing, UAT or training. Sandboxes mostly represents either replica of production or future state of production which might be undergoing through User acceptance testing (UAT). When we refresh Sandbox, we don’t get options on which metadata needs to be copied. Assume situation, there is defect on production and we need to go back to time and check how system was behaving previously. Typical rollback scenario for sandboxes. We might have metadata stored somewhere, but we need to perform many iterations of destructive.xml to delete components from Sandbox. In this case, we can quickly spin off scratch org from source code and perform analysis of historical code. This is just one example, there are many scenario and specifically for appexchange development companies. I think, we had lots of talk and ready to roll now. Other way to install SalesforceDX during pilot is to installer from here (Currently this URL is working however its location is not official). Once downloaded, install it. After installation make sure git command is working from command line. Below command will set org as default Developer Hub Org and will set its alias as my-devhub-org. It will open Salesforce login page in default browser for OAuth flow, where we need to login to Developer Hub org and authorize Salesforce DX. To create a scratch org in Salesforce DX, we need to have workspace-scratch-def.json . Best place is to place it in config folder. This file already exists in Git repository we cloned initial however we would need to update it with our FirstName, lastName, Email and Org preferences. All supported preferences are listed here in Metadata documentation. You can find official documentation on sample scratch org definition file and possible configuration values and features. Edition of Org can be Professional, developer or enterprise. Note : At a time of writing this post, scratch orgs auto deleted after 7 days however it may change when product goes GA.
We can also get metadata changes done in scratch Org either from UI or deployment. It will only pull if metadata changes, not the whole Org. We can automatically generate skeleton workspace using CLI which will create folder structure and json files with default value. When we create a scratch org using sfdx CLI, it does not display password and uses OAuth internally to communicate with scratch org. If we need to login to scratch org from non sfdx CLI, then we would need to generate a password. Below command can be used to generate password. Successfully set the password "26y271a" for user scratchorg1495650731268@shivasoft.in. You can see the password again by running "force:org:describe". Make sure OWD setting for contact is Controlled by Parent. echo "Retrieve Metadata from Developer instance"
echo "Command - sfdx force:mdapi:retrieve -r metadata -u pathtocode -k manifest/package.xml"
echo "Command - unzip -o tmp/unpackaged.zip -d manifest"
echo "delete zipped result retrieved"
echo "Move unzipped content to folder up"
echo "Convert Manifest to SFDX format Source"
Be default SFDX points to latest API of plugin. If I have SFDX installed for prerelease instances, that means it will not work for my developer or sandboxes because they are still on older API. In these scenarios, we can override SFDX API either globally or current project using below command. ERROR running force:org:create: No such column ‘WorkspaceType’ on sobject of type SignupRequest. Are you part of Pilot ? This feature not GA yet, you would need to have access to Developer hub to create scratch org. In my developer org setup, i can not find environment hub.Is it enabled only for ISVpartners? How to get the access of Environment hub in my developer Org. Glad you lined this up. Long due DX, have been hearing this coming. Wondering, how DX solve problem of connected org and landscape, will that solve or does this add more complexity. Like QA lets say connected to Tableau and O365, so as dev instance linked with Dev(Tableau) and Dev(365) now spinning a template org, while offer new org id which in turn require relinking all integration and variables. What’s your thought on that ? Not sure if in these scenarios, DX would be of any help or not. Its more on package based deployment. Also, currently it can only be used with scratch orgs and not with sandboxes. So time will tell that can we or not, set these integration related settings automatically. ERROR running force:org:create: You do not have access to the [SignupRequest] object. I am very exited to use this feature. Is there any release date?? In your demo, mentioned that it will be available soon. i have small doubt. is it possible Creating recurring time-based actions in workflow or process builder. i want fire the my workflow rule every day. is it possible or not? ERROR: You do not have access to the [ScratchOrgInfo] object. I have one query if i enable the Scratch Orgs in DevHub can i use the Developer Sandbox simultaneously or we cannot able to use Developer Sandbox? I have a question on the scratch orgs that are created using SFDX. If we need to reproduce an issue by going back to a certain point in time (by getting the code from any SCM tool), & deploying it to a scratch org, it will also need some data setup to be done before performing testing. So my question is is there a way copy data as well while creating the scratch orgs ? I am facing an issue with record type migration to scratch org,what would be the best way to dit can you help me ? 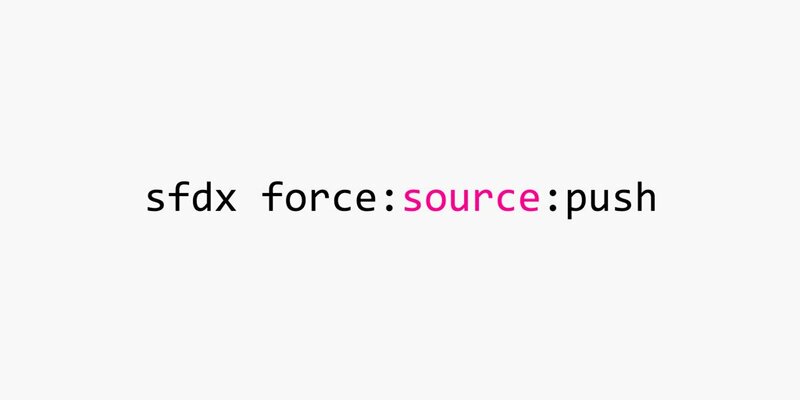 I have a query related to sfdx:force push. When ever I try to push the code it always consider the whole code. Somehow its not able to identify the delta. Everytime, I need to create a new scratch Org to resolve this issue. Even after creating new scratch org, some times again it starts with same problem. Is there any I can fix this issue without creating a new scratch org. Thanks Jitendra for the explanation. 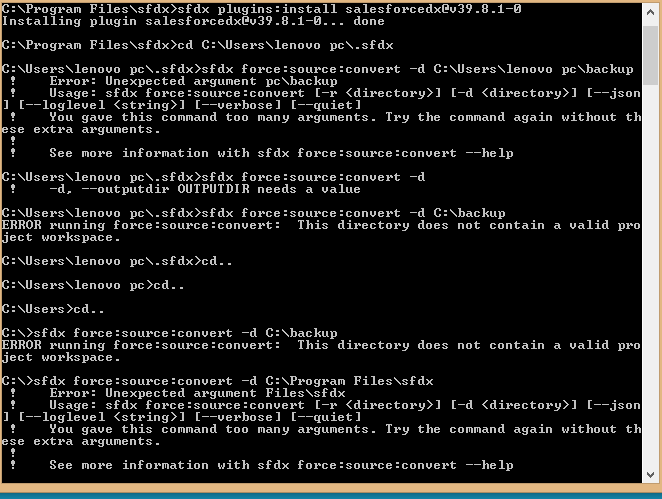 I am getting the error “‘sfdx’ is not recognized as an internal or external command, operable program or batch file.” after installing the Salesforce CLI and setting the path environment variable. Any idea why or how can I resolve this?